"Great vocals make a great mix. Here's how to get 'em!" REthink Vocals is your shortcut to better sounding vocal tracks in your mix. Does the world need yet another landing page creation tool? It needs a tool which gives you tons of beautiful templates, designed by professional designers, which ALWAYS looks great... out-of-the-box, and after you've added in your own content. Do you want the freedom of not being paralyzed by a gazillion different customization options, and just having something that looks great and works all on its own? Do you want a bunch of beautiful, solid, high-converting templates, that work right "out of the box", created by the most talented graphic designers and best marketers in the industry? Do you want a team of the world's top graphic designers, computer programmers, and customer support agents, all located here in sunny Southern California, standing by your side and ready to ensure you have the best possible experience with their platform? Listen, you don't want to compromise the quality of your pages because of an inferior tool. You want your pages to be professionally designed, and to work in every possible scenario, no matter which web browser the viewer is on - even a mobile device. You pick the template that’s right for you, enter your own copy in place of the example text, and share the link to your page. It’s seriously THAT easy. Does the idea of having a platform that actually works FOR you and not against you sound appealing? Then we'd be honored if you'd try Megaphone. Credit where credit is due, REthink Vocals is just great stuff. Well worth the money. Thanks so much! 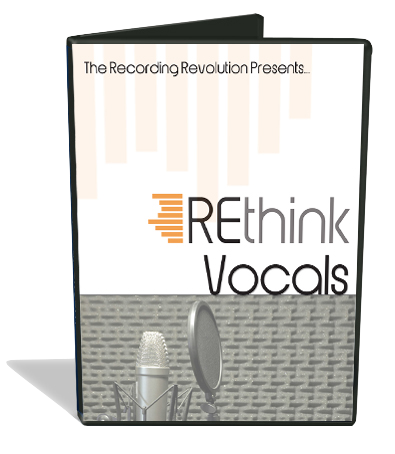 "REthink Vocals will teach you how to get pro sounding vocals no matter what DAW you use"
If you are not completely impressed with REthink Vocals, let us know within the first 60 days and we'll give you all your money back. If you're not happy, you don't pay. Signing up for REthink Vocals is quick... Within minutes you'll see how easy it is to get killer sounding vocal tracks in your home studio. With the 60-day no risk money back guarantee, it is a no-brainer. Sign up now!